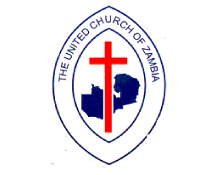 The United Church of Zambia (UCZ) has a wide membership divided in 10 presbyteries. The Paris Evangelical Missionary (PEMS) known as the Church of Barotseland started working amongst the Lozi people as early as 1885. This is what led to the formation of the Missionary Conference in North-Western Rhodesia in 1928 with the Methodist Missionary Society (MMS), and the Church of Central Africa in Rhodesia (CCAR) formed in 1945. The union of the Church of Scotland congregations in Northern and Luapula provinces and the congregations of the London Missionary Society (LMS), the United Church of Central Africa in Rhodesia (UCCAR), formed in 1958 gave birth to the United Church of Zambia.